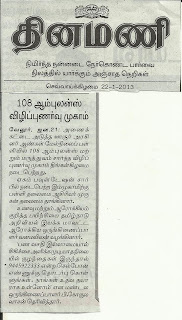 Am sharing a Good news am happy and Cheers with you. 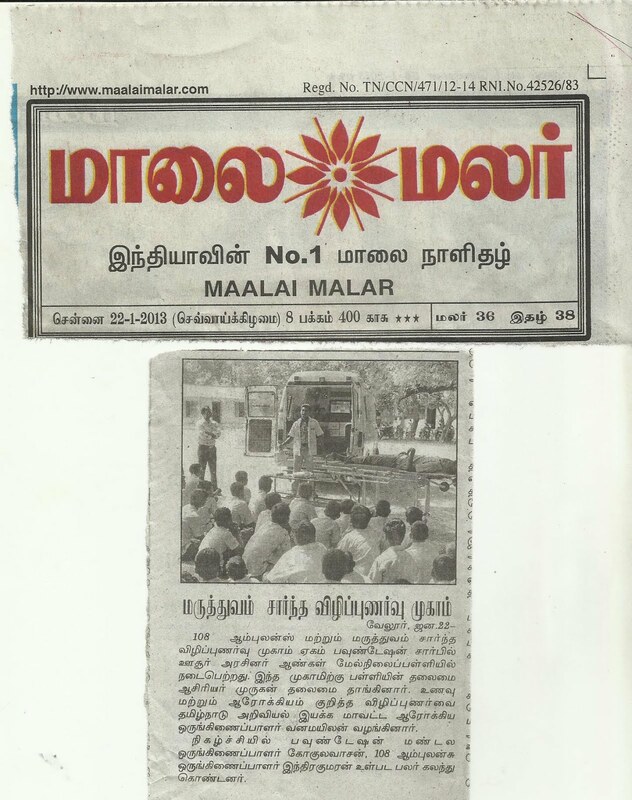 Vellore district on theYesterday 21th January 2013 of 108 ambulance demo,Food and Nutrician training, was held for Ushoor village Government Boys Higher secondary school participating 32 Teachers & 150 childrens. 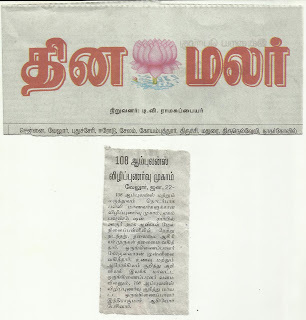 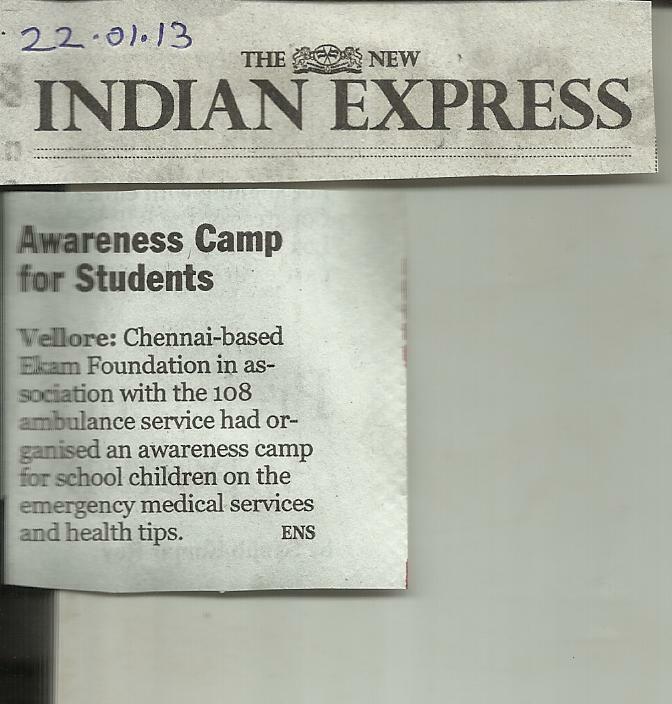 The The New Indian Express and Dinamani Newspaper published on the news today 22/01/13 about this event. 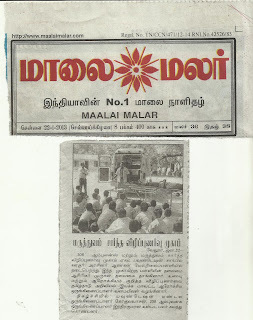 UShoor Union Govt Boys Higher Secondary School in the village Anaikat block on the 108 ambulance and medical awareness camp held Monday. 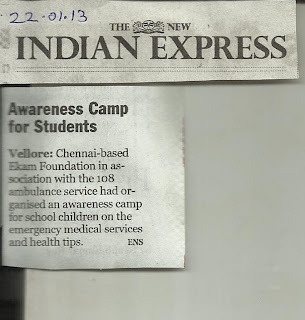 Ekam Foundation on behalf This event was inaugurated and chief guest by Mr.Murugan Head Master of the of the camp school. 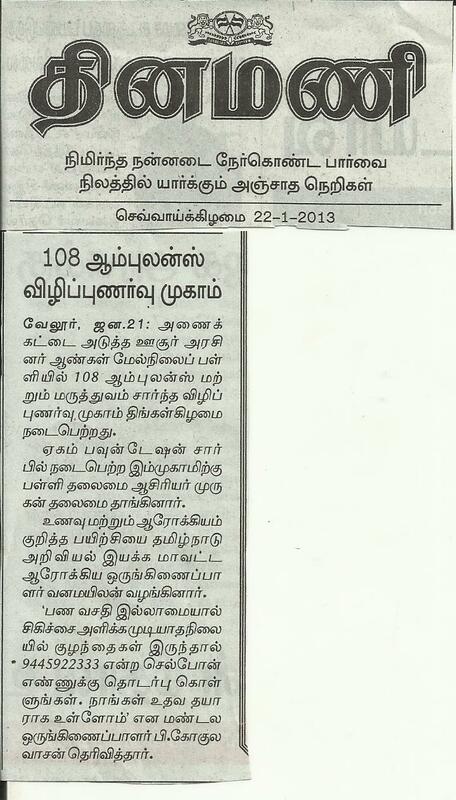 Mr.vanamailan Food and Nutrician training provided by the TamilNadu Science Form district health coordinator. 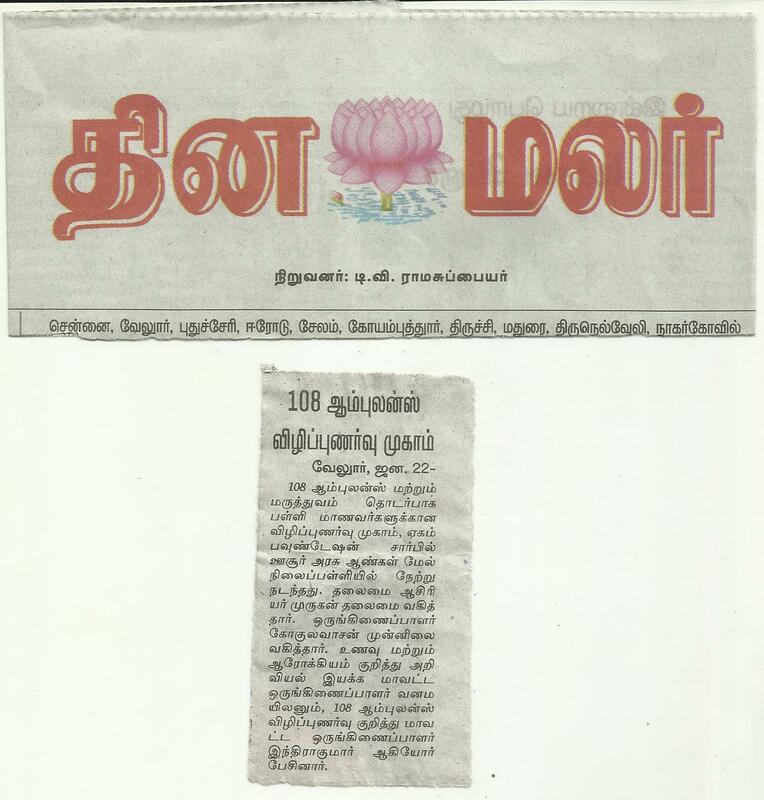 If children do not receive medical treatment facility without the money to take this number to if the cell phone number of the contact 9445922333 Gokulavasan Regional Coordinator said that we are ready to help.